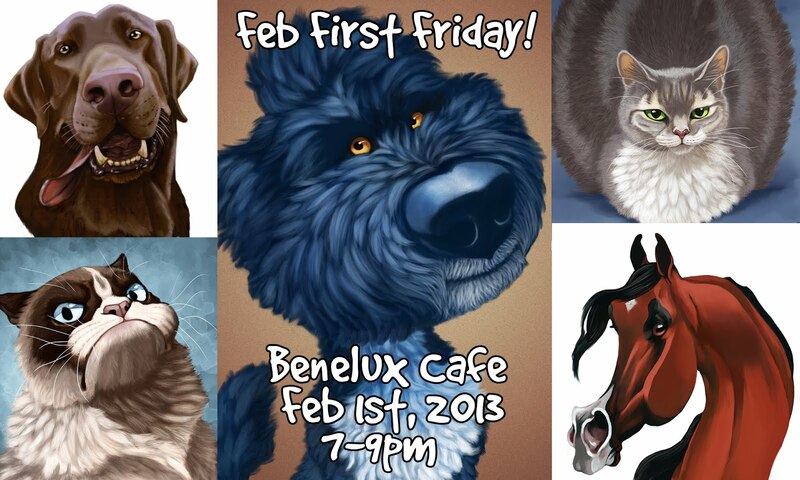 I invite everyone in the Raleigh area to my First Friday art show! I will be featuring several pieces of my pet caricature art, including an illustration of Bo Obama which I sent to President Obama to celebrate his inauguration. I will also have a tribute piece to Newphie, a shelter cat at the SPCA. I tried to help Newphie find a forever home by doing a caricature to highlight how wonderful he was. Tragically, he was diagnosed with an incurable terminal disease. I will be donating 100% of the proceeds from my print "Newphie" to the SPCA of Wake County. 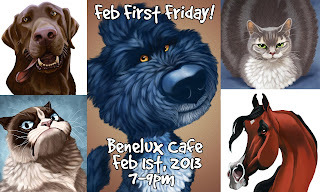 Please come to the event to see my pet caricatures and meet me in person!